It’s week 3! I would love to hear from you about how things have been going, what successes, disappointments or setbacks you have had. I hope you are feeling pumped and not discouraged. In case it is the latter though, I wanted to point out to you the success that you have already had. Eating more “Whole Foods" - as in unprocessed. I bet by tracking your food for the last two weeks, you have made better decisions, even if you have not written a thing down. Just by setting the intention, you are going to have some success. Combine that with our assignment last week to eat your veggies first, and I bet you have moved even more “bad” foods out of your life, so you are hitting #2 and #3, and possibly #4! Great Job!! This week we are moving on to Phase III. 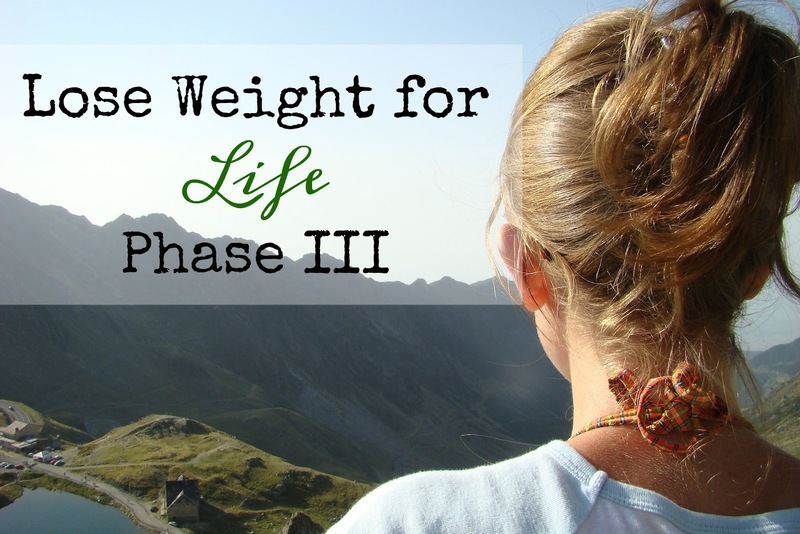 At the end of this post, there are links to Phase I and II in case you want a refresher or are just starting, and want to catch up. Sorry folks this is a long one because we are starting to move into the nitty gritty action steps. I hope you find the info enlightening and useful, not just for this, but for any other changes you want to make in your life. happen without conscious choice. At one time they probably worked for you on some level, but over time we may find that they limit our creativity, effectiveness, and may even begin causing us misery, and they definitely limit our range of possible solutions. If we are free of our habit, then we begin to see a whole range of possible responses to any one circumstance. How do you free yourself from a habit that is largely an unconscious behavior? Through self-observation to create awareness. Your food journal allowed you to reflect, and becomes more aware of what, when and why you were eating. Finally after several weeks, you begin to notice your impulse behavior before it occurs, and finally you are capable of making a different choice because you are no longer a slave to your impulse. It takes a lot of work to change a habit, If you change one habit out of the hundreds in regards to food that you have in a day, you are one more step closer to your goal. After that you keep building on your success until you are where you want to be. Now you see why this process takes years, but at the end of it you a whole new set of now healthy (unconscious) habits, and there is no going back to where you were. Besides self observation, changing a habit/learning a new behavior involves practice, and this practice needs to occur in a safe, nonjudgmental space. I want to introduce you to the concept of the learning zone and the performance zone. The learning zone is where you practice new skills, and the performance zone is where you show off those skills. So, you go to piano lessons, practice everyday to prepare for your Spring Concert. The lessons and the practice are the learning zone, and the concert is the performance zone. So, what does this have to do with changing your eating habits? In my opinion we approach “dieting” for lack of a better word like we are always in the performance zone. We go full throttle, without practicing the smaller things we need to master, we judge ourselves like others are watching, and then we get discouraged, upset, berate ourselves, and quit when we “fail” to change into this healthy, slim person over night. I want you to live in the learning zone for a while. A long while. You are unlearning bad habits, and trying out new ones. In the learning zone, you break down what you need to do to improve into manageable tasks, and then deliberately (i.e. with a plan) do things to improve in that area, armed with what you now know about habits. Let’s look at an example. Let’s say I tend to mindlessly eat if there is food out and easily accessible to me. I put on my detective hat, and get a little more into the details about where and when this occurs. Let’s say I notice that I don’t eat the kids’ snacks at home, but I do eat a lot more at work. “Why is that?” Well, I keep the snacks at home put away out of sight. So, I think I don’t bother them because 1) I don’t see them, and 2) when I do, it seems like too much effort to unwrap everything. However, at work food seems to be out and available everywhere, especially in the break room after meetings. Then you start investigating that further - what brings you to the break room? Can you change that up? If putting effort into obtaining your snack seems to slow your down, what can you do at work that would require more effort of you to get that work snack? You start investigating, coming up with theories, and then testing those theories out. What if you do something and it doesn’t work? So what? This is what the learning zone exists for, to screw up so you can figure out what works and what doesn’t. The learning zone is a safe spot to learn, try new things, and practice until you get it right. 1) We are going to work on portion control. Educate yourself on what a portion size of what you are eating looks like. Below are some websites with tips and strategies to help you with this. Also remember that your stomach (most people anyway) is about the size of your hand. Look at your hand then look at your plate….. Now that you know what a serving size roughly is, take a look at what you put on your plate, and leave a bite or two on your plate. Stick with this for a week, giving your stomach time to readjust (your stomach doesn’t really shrink, but your body does adjust to what “full” feels like), and keep repeating this process until you are eating real serving sizes. 2) Take a look at your journals. If you didn’t write things down, write down what jumps out at you as you think back on what you observed. Now choose a goal that is meaningful to you, and gets you closer to where you aspire to be. A solid goal has 5 things going for it. It is Specific, Measurable, Action Oriented, Realistic, and Time based. What will you tackle first? Do you tend to snack a lot at night after the kids go to bed? Did you notice that you can’t control what you eat, and make bad choices when you get too hungry? Maybe you eat too much fast food because you are often too tired to cook at the end of the day. Pick one of these things, and break it down into manageable smaller goals building on your success until you conquer the larger goal. What did you do well? Do you eat a lot of vegetables naturally? Did you notice if there were times or foods that you didn’t find tempting? What “Unhealthy” foods are you not willing to give up? Are there foods that you really crave? What situations cause you to eat when you are not hungry? What situations cause you to overeat? Why all the questions? We are establishing what your strengths and weaknesses may be, what opportunities you have going for you (like you actually like quite a few vegetables, or sour patch kids are the one candy in the house I am not at all tempted by), and finally and maybe most importantly, what obstacles might keep you from achieving your goal, so you can plan to overcome them. That't it, so go play detective, come up with a game plan, and practice it.